Antigonish, Nova Scotia native, Sabra MacGillivray, is a champion Highland dancer, step dancer, award-winning choreographer, and teacher. Sabra has performed and taught all over the world including Canada, United States, Scotland, Ireland, Denmark, and Australia. She danced as a member of Macquarrie Dancers and performed with the musical production DRUM! She placed 8th overall at the World Highland Dancing Championships in Scotland. Sabra was one of six dancers from Canada invited to perform as a guest soloist at the Royal Edinburgh Military Tattoo and has performed with her siblings all of her life, either as a dancer, piano or bodhran player. She created an instructional step dancing DVD entitled “Gaelic in the Feet”, produced a CD, “Highland Dancing Music from Nova Scotia”, and has a dance documentary entitled “Steps with Sabra” by New Scotland Pictures. She holds her dance teaching license from the Scottish Dance Teachers’ Alliance. Sabra has put down roots in Creignish, Cape Breton, Nova Scotia where she runs her dance school, “Celtic Touch Dancers”. 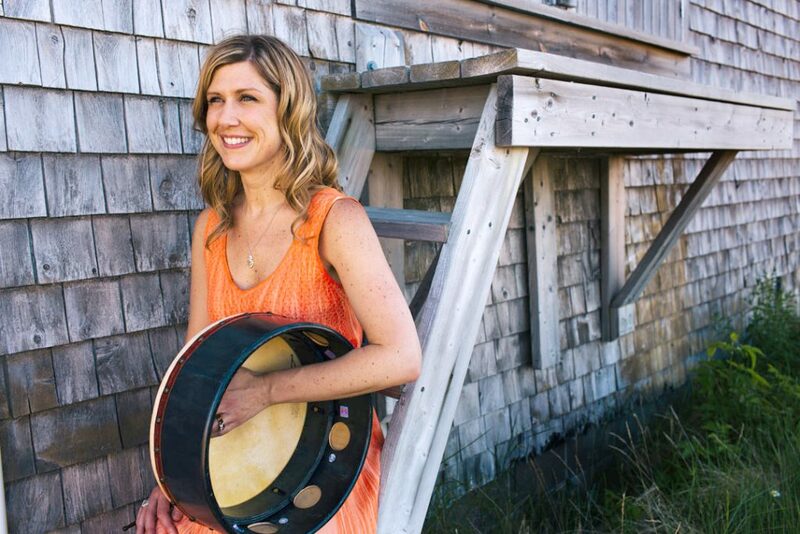 Sabra has been playing the bodhran for more than 20 years. Her earlier years were mostly self-taught. She received instruction from drummer, Michelle Stewart and most recently, from notable bodhran player, Colm Phelan, at the Irish World Academy of Music and Dance at the University of Limerick. Sabra most often accompanies her siblings on the bodhran. 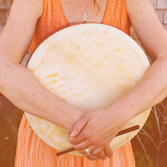 She also instructs bodhran lessons in workshop and camps.